Today, Nissan announced a collaboration between the Nissan Micra Cup spec series and Project E.R.A.S.E. (Eliminating Racing Activity On Streets Everywhere), to raise awareness about the dangers of street racing and encourage safe, responsible driving on public roads and race tracks. Project E.R.A.S.E. is a collaborative effort of seven Ontario police services, the Ministry of Transportation and the Ministry of the Environment. Representing Project E.R.A.S.E. 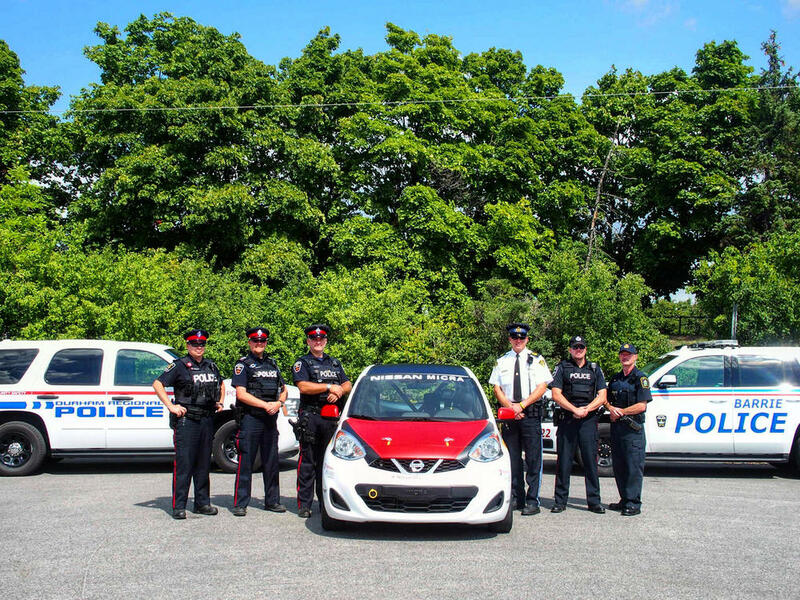 is Staff Sergeant Chuck Kaizer, who will trade in his police uniform for a racing suit Labour Day weekend to compete, off-duty, in two Nissan Micra Cup races at the Canadian Tire Motorsport Park (CTMP), near Toronto. The goal of the E.R.A.S.E. program is to change poor driver behaviour through education and strategic enforcement. So far in 2016, three joint education and enforcement initiatives conducted by Project E.R.A.S.E. affiliated police services have resulted in 107 charges and six arrests related to street racing. This does not include the hundreds of calls for service and stunt driving charges investigated over the past several months by the involved police services independent of the specific enforcement initiatives. In 2015, Nissan launched the Micra Cup, a one-make racing series featuring Canada’s most affordable new car, the base Nissan Micra S. After a successful inaugural season launched exclusively in Quebec, Canada’s most affordable racing series expanded to Ontario for 2016. The Micra Cup race car has a compelling value proposition for those interested in motorsport with a price of $22,900 CAD, ready-to-race. To render it race-ready for the Micra Cup, the Micra S receives NISMO-tuned suspension and a number of enhancements to comply with FIA regulations: FIA-approved racing seat; 5-point harness; fire extinguisher; safety cage; driver protection net; front and rear towing hooks and stylized Fast-wheels wheels with Pirelli low profile high performance slick tires. Staff Sergeant Chuck Kaizer will be the latest novice driver on the grid next weekend at Canadian Tire Motorsport Park in Bowmanville, joining a field of close to 30 Micra Cup drivers. Staff Sergeant Kaizer will drive Micra Cup race car #23 for team Project E.R.A.S.E.